This site of memory is such an interesting one, especially because I think it is one of the more relatable sites of memory. Unlike some other sites of Lincoln memory, it is very easy to connect personally to the idea of mourning, especially on a national level. Whether it be for groups of people, such as in the 9/11 attack, or for a single person, like when Michael Jackson passed away, there is a collective understanding and sense of community that is experienced throughout the national mourning period. I cannot even imagine what it was like to live through the chaos of a president being assassinated, especially in the context of a post-war country. I thought it was interesting that you discussed the point of view of the confederate soldiers. It’s true that in looking back on Lincoln’s assassination we tend to focus on the collective mourning and disregard those who, in the context of their own situations, had good reason for refusing to mourn Lincoln’s death. Overall I thought that your post was very straightforward, well written, and easy to read! It’s a very interesting topic and I would definitely be interested in learning more. It would be great if you wanted to link the sources that you used so that I, and other readers, could look farther into the topic. Great job! I think it’s great to see that you tie in the reactions and feelings of the public in relation to the greater social and political context of the civil war just ending. 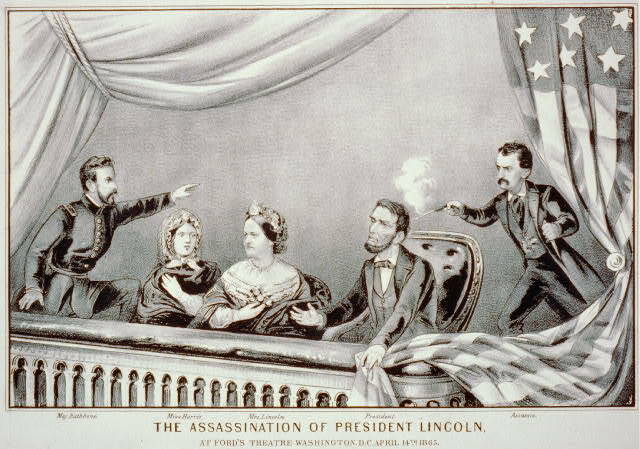 People often think to the day and time frame only as the day Lincoln was assassinated. As well the “glossed over with generalities” is very descriptive and helps one understand how complicated this moment in history was. The last conclusion part is great in relaying the fact that we now in current times over a century later, mourn the President’s passing more so then at the time. This post definitely resinates with my post on Ford’s Theater in that the aftermath of shock and confusion in the actual moment of the assassination was continued on for a long time afterwards as well. I was just wondering if there are any websites or other post on this site that relate to your topic that could add in more resources for us to check out?